Terror suspect Raed Jaser was under a deportation order almost a decade ago, after repeated refugee claims were rejected and he was denied his family’s route to citizenship because of multiple convictions he’d racked up since coming to Canada. And in August of 2004, he stood in an Immigration and Refugee Board hearing, arguing he posed no threat and no flight risk despite accusations of working illegally under multiple aliases, and should be released until the government was ready to deport him – and had figured out where he ought to go. Jaser came to Canada with his parents and two siblings 11 years earlier, in March, 1993. His father Mohammed Jaser made a claim for refugee protection on the family’s behalf. It was rejected; he appealed. In 1998, the family was allowed to stay in Canada under the deferred removal order class, and eventually became citizens – all but Raed Jaser: He already had a string of convictions during his time in Canada that made him ineligible. He submitted a new refugee claim; it was denied several months later. He was arrested on Aug. 23, 2004 and two days later found himself in a detention hearing, making the case for his release. By then, he had five fraud-related convictions and a conviction for uttering death threats. While Citizenship and Immigration accused him of working illegally, under multiple aliases, Jaser claimed he’d been paying taxes and believed he was following the rules. “Did you know you were under deportation?” the presiding board member asked. At this point, it appears, Jaser broke down. “I can’t continue, Your Honour, I’m sorry,” the transcript reads. Jaser was ultimately released on a $3,000 bail paid for in cash by his uncle Mahmoud Jaser (his parents were away for a few weeks on vacation). As a condition of his release he was required to tell Citizenship and Immigration if he changed addresses, and to report to an immigration reporting centre every two months. It would be about six years before Jaser’s father became worried enough about his son’s religious views to ask others in the community for assistance that apparently never came through, and another two before a Toronto imam approached police through a lawyer, concerned about Jaser’s influence on youth. 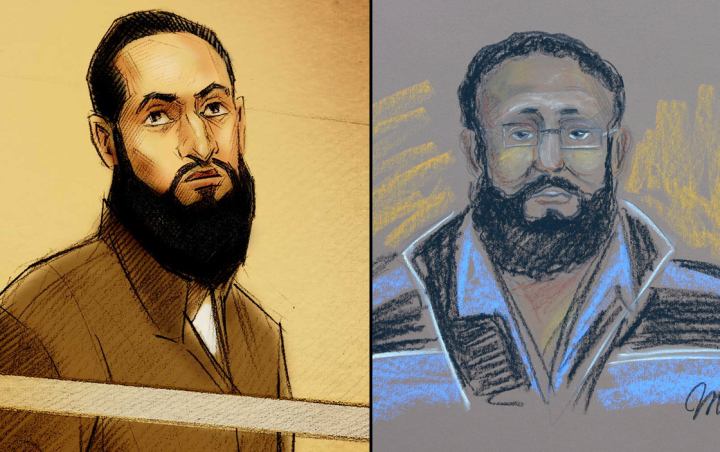 By the summer of 2012, he was under RCMP surveillance as part of an investigation that would ultimately see him and 30-year-old Chiheb Esseghaier arrested, accused of terrorist conspiracy and plotting to attack a passenger train. One of the first things investigators told reporters about the two accused was that they weren’t Canadian citizens. Jaser’s current lawyer John Norris declined to comment on the deportation review. Norris was reluctant to discuss his client’s nationality, but emphasized Jaser’s family’s ties to Canada when speaking with reporters outside Toronto’s Old City Hall courthouse Tuesday.